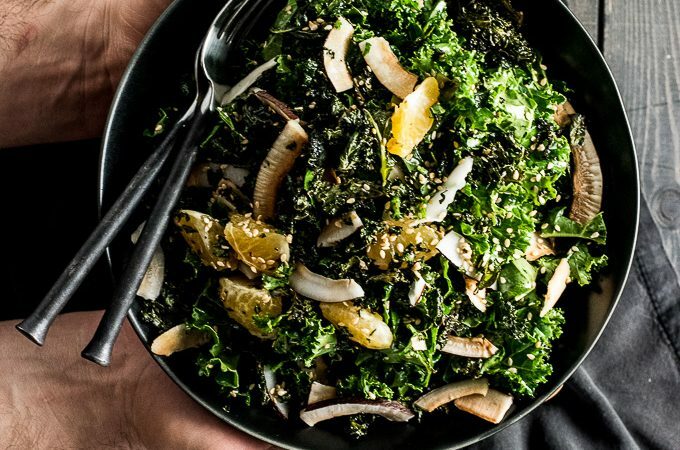 This Sesame Coconut Kale Salad has become our go to winter salad recipe. It's made with crispy kale AND raw kale and dotted with sesame, toasted coconut, and mandarines. 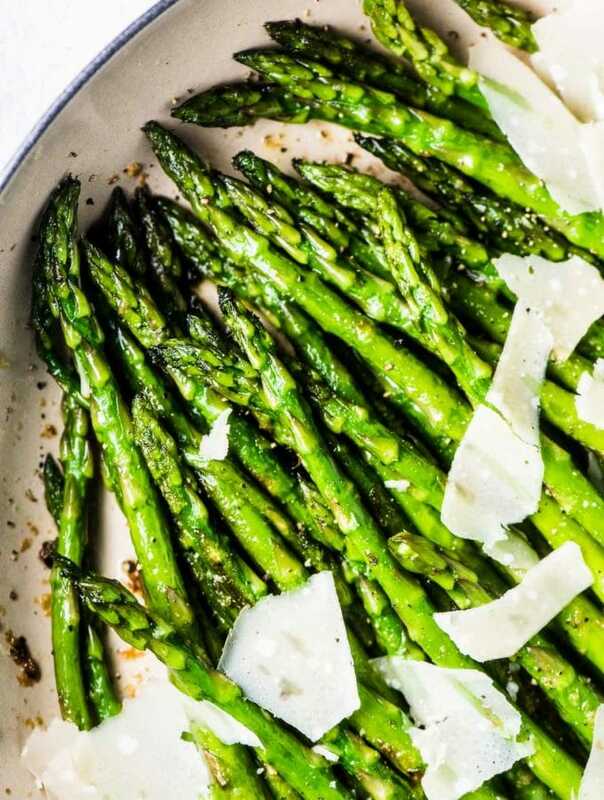 The dressing is light and crisp with hints of Asian sesame oil. I feel like this week needs a little brightening up, and I've got just the thing to do it. 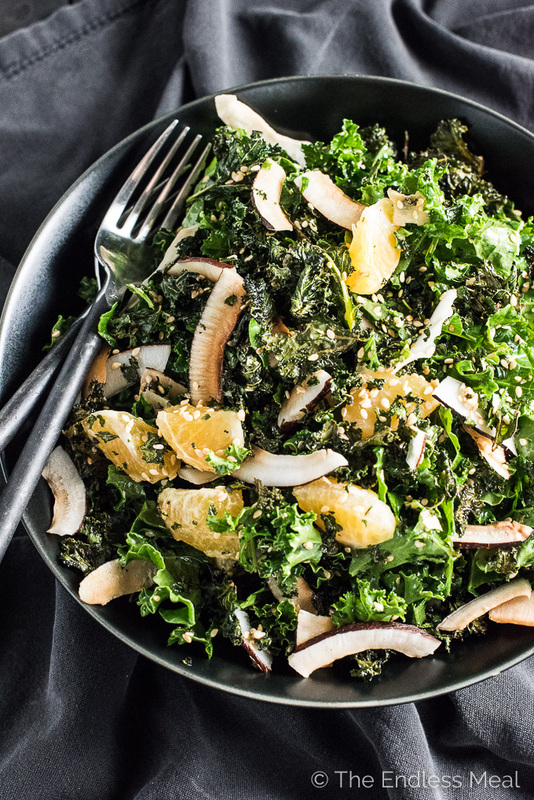 I've made us a coconut kale salad with a light sesame dressing and sweet winter mandarins. Let's share a bowl and forget about the rainy winter blues. Here in Vancouver, winter equals rain. That's usually a good thing … no driveways to shovel, no car windows to brush off, no below freezing temperatures … I like all those things. But sometimes, when the rain hasn't stopped drumming the balcony railing for days and I start thinking I might have to build a sailboat so I don't float away (Seattle – Portland – I know you know what I mean!) I start begging for a respite. Just a little sunshine, pleeeeese?! 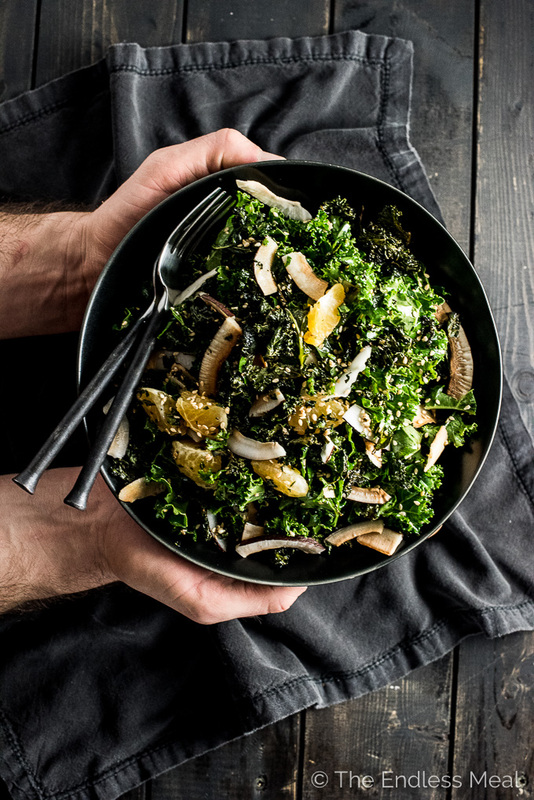 If I show up at your door with a bottle of wine, a big bowl of this coconut kale salad, and a bag of cookies, you know I'll be crashing on your couch till the sun pokes its head out again. Hope you don't mind. 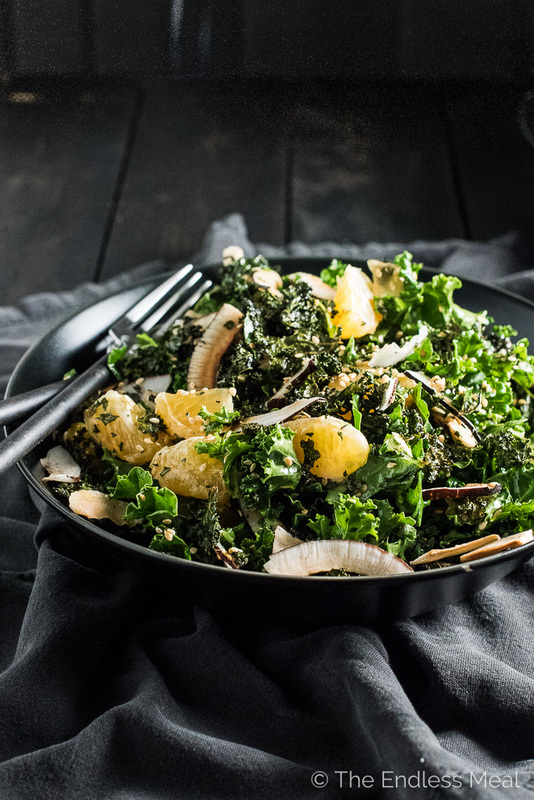 This coconut kale salad is a special one. I've used a trick I picked up years ago from Josephine of A Tasty Love Story. 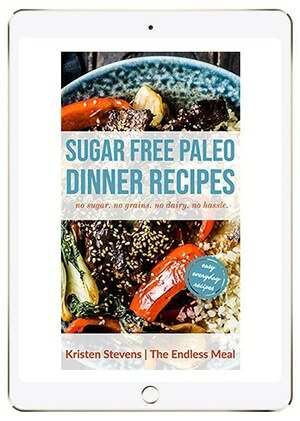 She has a crispy kale salad recipe (that I've made MANY times!) In it, she roasts half of the kale so that with each bite of the salad you get a little raw kale and a little crispy kale. It's truly amazing. I served her salad so many times at my supper club, and every time guests would rave about it. Now I take the raw/crispy kale combo and use it in other kale salad recipes. 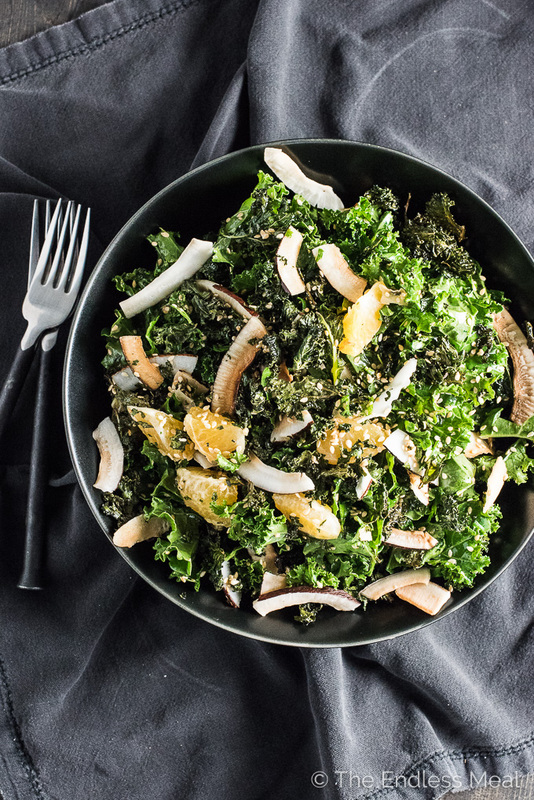 In this recipe, I've combined the crispy and raw kale with toasted coconut, sesame seeds, and mandarin oranges. It's tossed in a light and tangy Asian-inspired salad dressing made with a hint of sesame oil. Even though this is a winter salad, it feels bright enough to bring back memories of summer BBQs. 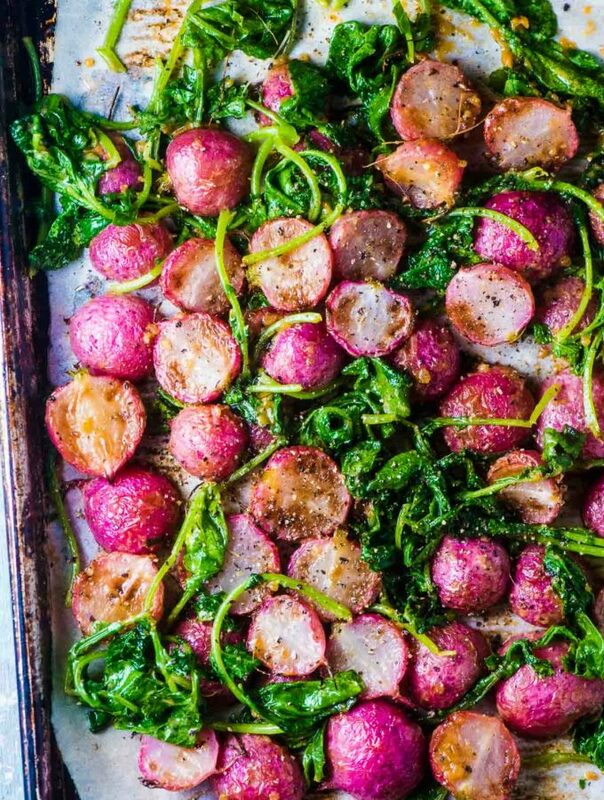 Toss a little over half of the kale with the sesame oil and place it on the baking sheet in a mostly single layer. Roast in the oven for 12 minutes, then remove the pan from the oven and push the kale to one side, keeping the single layer. Add the coconut to the tray and place it back in the oven for about 8 minutes, or until the coconut is lightly browned and the kale is crispy. While the kale and coconut are in the oven, whisk the dressing ingredients together in a large bowl. Add the raw kale, mandarin orange segments, and sesame seeds to the bowl and toss with the dressing. When the kale and coconut come out of the oven, add them to the bowl and toss gently.